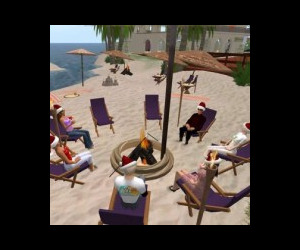 Virtual worlds can provide social opportunities for those dealing with disabilities. An ARC-funded project exploring isolation, illness and the internet suggests online virtual worlds can offer support for isolated individuals suffering disabilities – but accessibility remains a major obstacle. Dr Kirsty Best of Murdoch’s School of Media Communication and Culture has used the 3D program Second Life to explore the effectiveness of virtual worlds for those with Chronic Fatigue Syndrome. While she believes virtual worlds can provide outlets for creativity, jobs with real world payment and socialising, she said future technologies needed to be created with the needs of disabled people in mind at the design stage. "Given the multiplicity of disabilities, designers need to consider a range of needs when developing programs. We found ad hoc features added later to fix gaps resulted in a number of technical issues, which hampered communication," Dr Best said. "We spent a lot of time troubleshooting, which is an added stress to people who already find it difficult to concentrate and who suffer mental fatigue." Dr Best said new technologies had to move away from the idea of ‘one disability’ and realise what works for one group, does not necessarily translate across impairments. "Participants often felt sensory overload using the program. Some decided to concentrate only on text – basically turning off the sound and using the instant messenger feature to communicate," Dr Best said. "Other groups adopted the strategy of turning off their screens and using the program more as a conference call. The problem with this was it shut out those typing, who in turn felt isolated because they couldn’t be heard. "Future virtual worlds need to incorporate flexible translational technologies into their design – converting text to voice and vice versa. This would go a long way to improving accessibility." Dr Best said while her project revealed issues with virtual worlds, participants have shown the technology’s potential. Roughly 60 participants still use the ‘Murdoch University Island’ for meetings, relaxation groups and even a book club. "The Island literally opens up a world of possibility – one that participants have encouraged us to make very different from their everyday lives. It’s beautiful, full of life and outdoors. 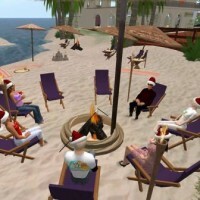 Being restricted to a house all day, many said they didn’t want to be housebound in a virtual world too," Dr Best said. "We’ve learned a lot from this project, and have modified our design as we’ve gone along to make the world more accessible and simpler to use for a wide range of people – a process largely driven by user feedback."